The Dominican Republic provides a perfect destination for exploration during your honeymoon. The rich culture and diverse countryside is best experienced with a rental car, either as a self-drive tour or with your own private chauffeur. We provide all the information you need for your holiday and personally invite you for a tropical cocktail at our office in Santo Domingo before your honeymoon vacation begins. To start with, we have created two sample itineraries, including suggested highlights, especially catering to newlyweds and honeymooners. Of course, we can adapt these proposals to your individual needs so that you can enjoy your perfect honeymoon in the Dominican Republic. This unique dream vacation is envisioned for 100% romantic couples who want to spend their honeymoon in the Dominican Republic at the most beautiful beaches. This trip features two luxury resorts located at two different Caribbean beaches. The first part of your vacation is spent at the shallow white sand beach of Bayahibe bordering a large protected area (National Park). The second part of your vacation you can enjoy the dream beach of Punta Cana, in one of the most luxurious and fantastic hotels of the Caribbean. Enjoy an unforgettable, romantic honeymoon vacation in the Caribbean. Just married? Feeling adventurous and energetic? 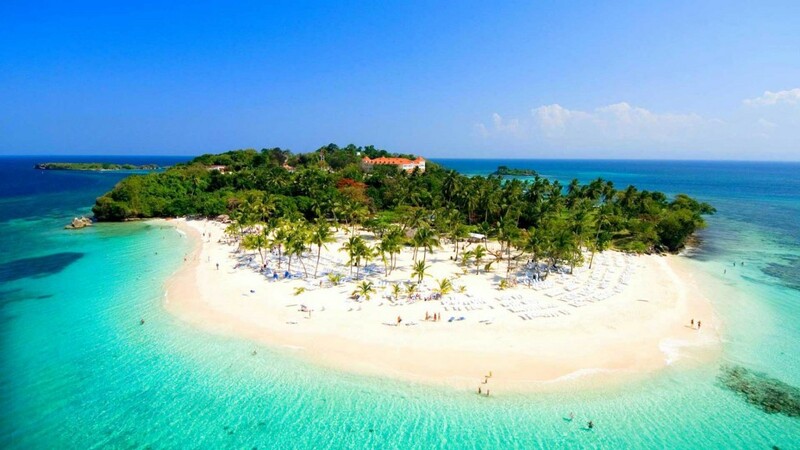 Discover the most beautiful places in the Dominican Republic! This unforgettable honeymoon trip is exclusively designed by DOMINICAN EXPERT and guarantees the perfect stay for your most important vacation. Delight in a journey through the island with magnificent beaches, waterfalls, lagoons and mountains in the heart of the Dominican Republic. It will be a taste of adventure, Caribbean dream and pure romance! Stay in two of the most unique accommodations on your honeymoon in the Dominican Republic! Explore the country´s highlights on the north coast, enjoy privacy and beautiful beaches. Highlights of this tour are a romantic dinner and a few nights in an incredible luxury hotel on the Bacardi Island of Cayo Levantado. Discover the Caribbean with its pristine beaches, incredible nature and stunning waterfalls and experience a honeymoon in the Dominican Republic you will always remember. Your personal travel consultant from DOMINICAN EXPERT will know the most secret spots where you can enjoy every single romantic moment. Have a look at our carefully selected accommodations!Send us a itinerary request!More Self-Drive Tours!